Curated by Barack and Michelle, and now available via The White House on Spotify. 'Tis the season, and now you can celebrate the season in a most presidential fashion. The official White House profile on Spotify has shared holiday playlists from both the Obamas and the Bidens, curated by the families themselves. Barack and Michelle's 14-song playlist features some serious gems, including the most adorable rendition of "Santa Claus Is Coming To Town" courtesy of The Jackson 5. 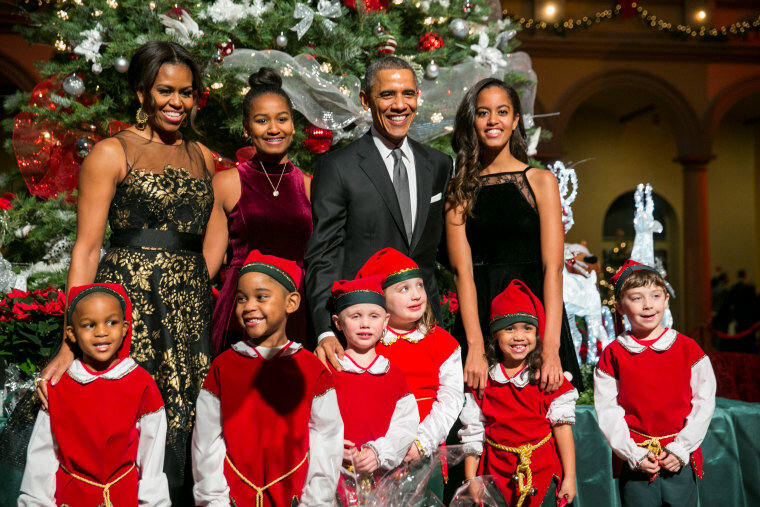 Listen to "Holidays with the Obamas" below.